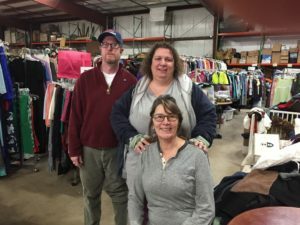 All of the volunteers like the environmentally friendly aspect of recycling goods and providing affordable items to people who need them. Carrie’s neighbors sometimes leave donations on her porch. Open for 30 years, 100 percent of the Thrift Shop proceeds goes to Maryville’s Crisis Nursery. The shop is open 10 am to 2 pm weekdays.